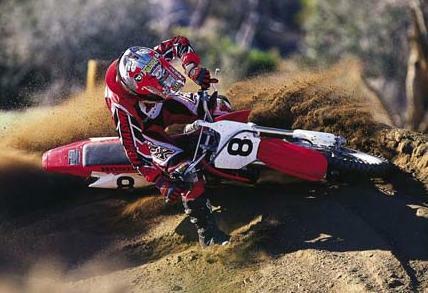 minimotos, small dirt bikes, pit bikes and enduros. Gaining mini fans – globally. The fun element cannot be denied riding minimotos; people of all ages love them. As with any machine keep a check on safety and maintenance. Read up on the many events and products available, there is a large and growing variety, you will find many accessories to add a touch of class to your bike, such as graphics and other items. Don’t abuse the bike or use it at it limits (for long periods), as you will undoubtedly become a casualty? Also make sure if you’re on a dirt track your tyres and brakes are in excellent order. Never use the main roads, and never ride the bike near heavy traffic, its difficult for lorry drivers to see you and even motorists in cars can struggle. -- Have fun but keep sensible (& legal). 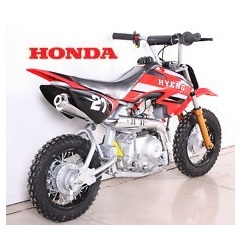 The models of mini dirtbikes for kids you’ll likely encounter are. Think about the size of the mini dirt bike engines. Kids seem to be getting started riding around the track and off roading at a younger age more than ever before. It seems like some kids go straight from learning how to walk to learning how to ride, and manufacturers have responded by producing some really great, high quality minimotos for kids to ride. These will be safe and appropriately sized, styled and designed for children, and there are many options to consider if you're going to make a purchase. 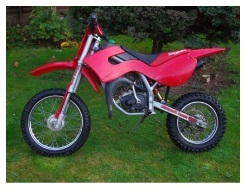 So, where should you begin your search for minimotos for kids? It's hard to sort through the mess out there because there are so many options. Of course, when in doubt about what kind of minimotos you should be shopping for, simply consider some of the biggest and best brands out there for dirt bikes as a whole. Brands like Yamaha, Kawasaki and Honda all produce high quality bikes for kids, that will be safe, durable and capable. You'll never go wrong with one of these brands, and any kind of bike that they make, so it will be up to you to shop around, compare, and see what kind of model you'll like. The big names always make high quality products, but of course, they'll come with a hefty price tag as well. 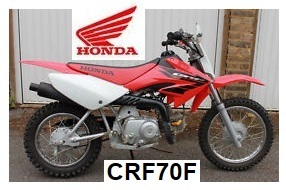 A great example is the lineup from Honda, with the CRF50, CRF70F and CRF80F. They are beautiful, powerful and safe machines for kids, and they'll cost between $1,500 and $2,500. The 70cc dirt bike is in vogue – and it’s a cheap kids dirt bike. One solid place to start is the Apollo brand, which are based on Honda bikes. The Apollo 70 costs about $450 and has a capable engine, and a low and adjustable seat for growing riders. Coolster also makes a 70 cc model, as well as a few 125 cc models for kids and teens. The Coolster 70 costs less than $200 and is basically a knockoff of the Honda CRF50. You can even look into the EZ-Bike brand, which manufacturers minimotos and starter bikes for those just getting involved and learning how to ride, and they provide their models at very low costs, even as low as $150-$200. One somewhat surprising category of minimotos for sale are made by Razor. Now, these razor dirt bike models are very different, because they are electric, battery-operated models with limited capabilities. You might be able to get them up to 10-20 MPH, but no more than that, and they'll only be able to be used for an hour or less at a time. It's a good introductory option for young kids with no experience at all, and even those without any real or dedicated areas to take out more powerful bikes. 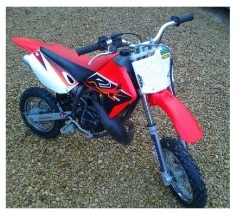 So hopefully by now you know a little bit more about buying minimotos for kids. When your child wants to start riding, and it seems like they pick it up as soon as they can stand sometimes, you want them to be safe and secure, while still learning, having fun and doing things the right way. There are some great choices out there, and you'll surely find something that matches your budget while providing the features you're looking for. A used mini dirt bike, especially if it’s been ridden hard, can look in a pretty sorry state. Once the mechanicals are all in shape; a vibrant mini dirt bike graphics kit is an investment that’ll pay you back immediately. Changing a dowdy old MX mud plugger into a mini super looker! Dirt bike magazines & posters, should inspire you, and the variety is astounding.